This extension can display 2 panels on your portal. each panel consists of 6 status displays (12 displays in total) each block can be configured in the acp and each display can be either for twitch.tv OR hitbox.tv. so the above covers general display stuff. now on to the Twitch/hitbox stuff itself. channel name ---- yea we need to know the name of the user channel to display. Display image ---- when a channel is ONLINE then the channel logo will display. if OFFLINE a default logo will be displayed(twitch only). 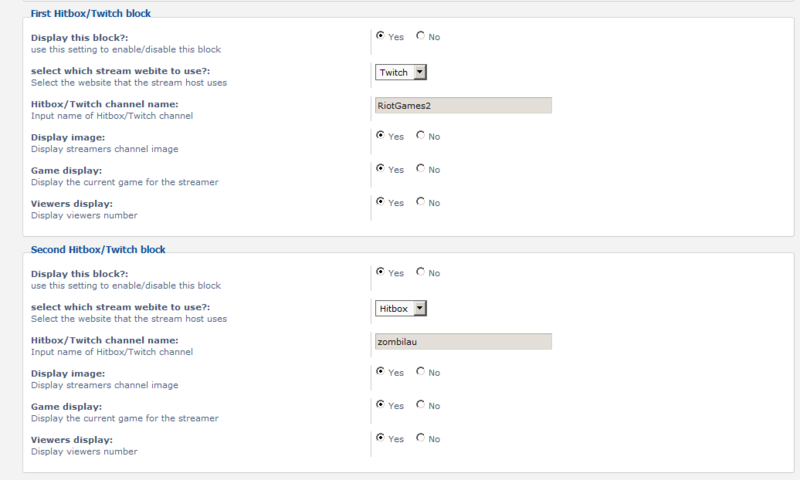 2. navigate to Extensions -> Portal -> Portal Modules and click "Add Module" for any column and add Twitch/Hitbox. 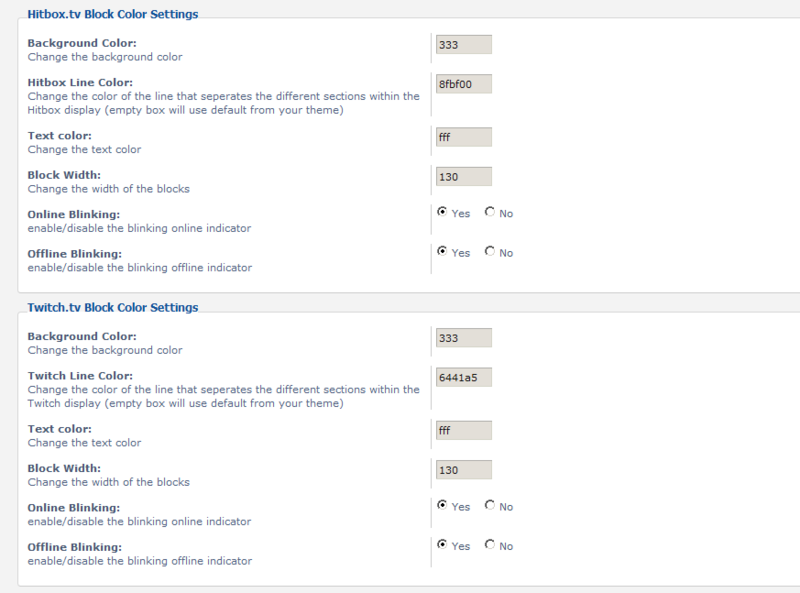 3. now configure your installed "Twitch/Hitbox" module to your liking by clicking on the . 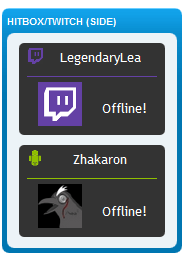 - is it possible, to get backgroud wallpaper from the stream when he is offline in this status tool ? - is it possible, if the stream online, to see the stream in this status tool ? when a streamer is offline twitch gives a "NULL" empty reply. thats why you cant pull the streamers images when they offline. that is something to do with twitch themselves and there is no work around for it. a future release may include a "PAGE" that has a frame in it to watch a streamer without leaving your own website. that will be in a future release hopefully but not for a while as i'm very busy with my job currently. Is it possible to add this to the bottom/top or side of my forums page?